We open with a shot of a crudely-made poster advertising an upcoming wrestling match over a new football. The contenders: the unknown ‘Masked Marvel’ versus ‘Wildcat Alfalfa’. None other than Alfalfa (Switzer) himself stands next to the poster, admiring his own appearance. He opens the gate adjoining the poster, and walks into the gang’s clubhouse area, greeted by a warm “It’s about time you got here” from a waiting Spanky (McFarland). 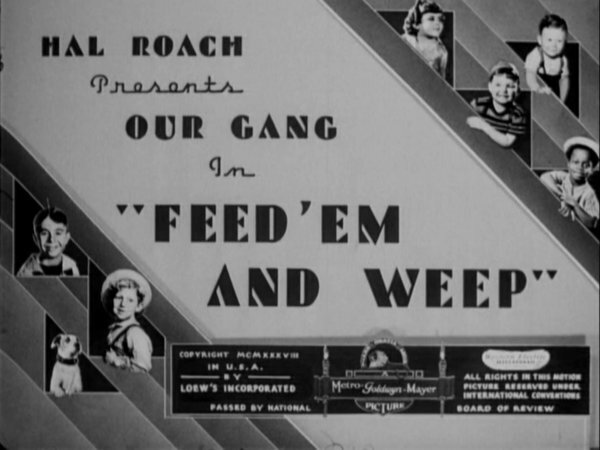 The pair walk over to a group of three kids, candidates for becoming Alfalfa’s opponent, the Masked Marvel. The three are dismissed as having “too much muscle”, being ‘one of those wise fellas’ and Alfalfa not liking the look of the third one’s eyes. 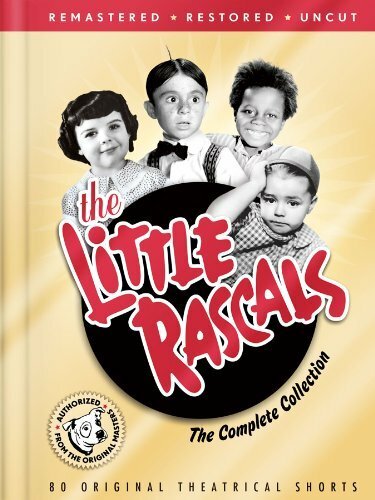 Spanky can hardly believe that Alfalfa thinks he cannot fight any of them, suggesting he find someone, anyone to fight. 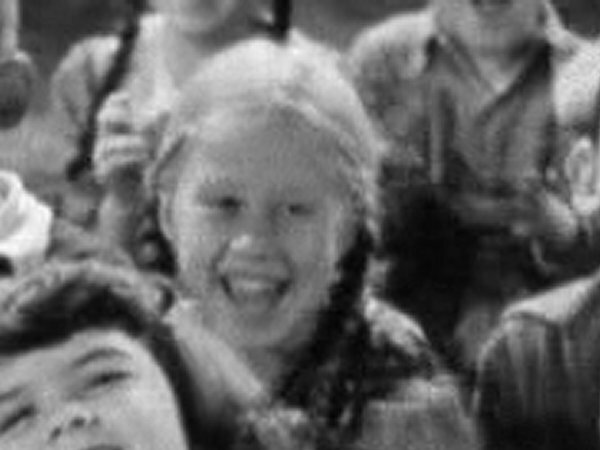 After a brief moment of thinking, Alfalfa turns to see a grinning Porky (Lee) sitting down behind Buckwheat (Thomas). Deciding on Porky, the two get inside the makeshift ring to practice, putting their hands on each other’s shoulders, and staring each other down. We then cut to a victorious Porky sitting atop Alfalfa’s stomach, only getting up as Alfalfa says ‘uncle’. Buckwheat and Spanky, with bemused looks on their faces, enter the ring. 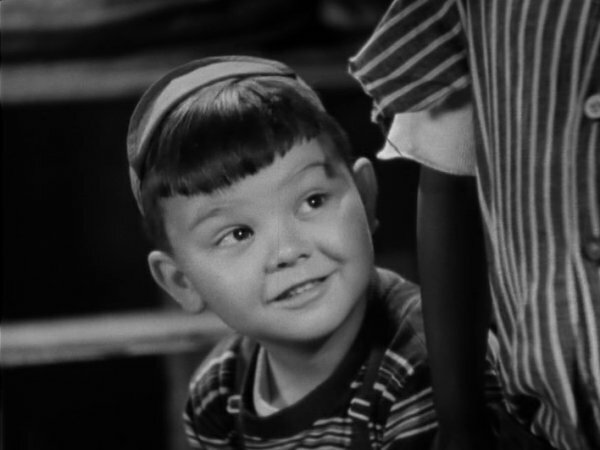 Spanky criticizes Alfalfa for not being able to beat Porky, and again asks him if he cannot think of anyone else. By coincidence, Waldo (Darwood Kaye) appears from indoors reading Shakespeare, and not looking where he was going, badly trips over a box. A joyous Alfalfa proclaims “I know I can lick him!” and Spanky says the two should test it out. As Waldo dusts himself off, the two enquire if he can wrestle, and when Waldo says no, he is quickly pushed to the ground by Alfalfa. Waldo accepts the offer to be the Masked Marvel, and goes off to see his girl Darla (Hood). 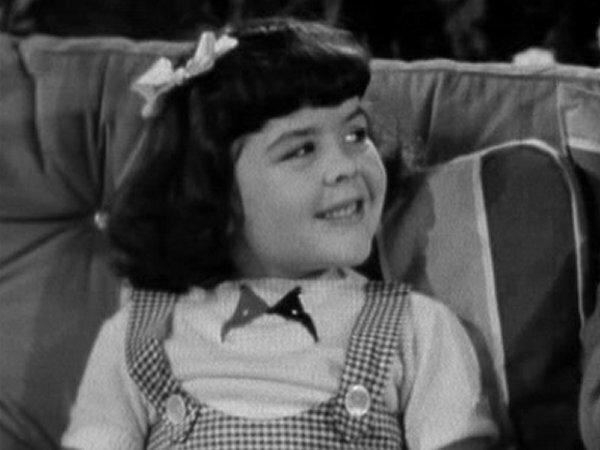 Sitting on a swing, Darla marvels at the title of ‘Wildcat’ Alfalfa, as the bully Butch (Tommy Bond, dressed up in a goofy outfit) along with his crony, Woim (Sidney Kibrick) approach them. 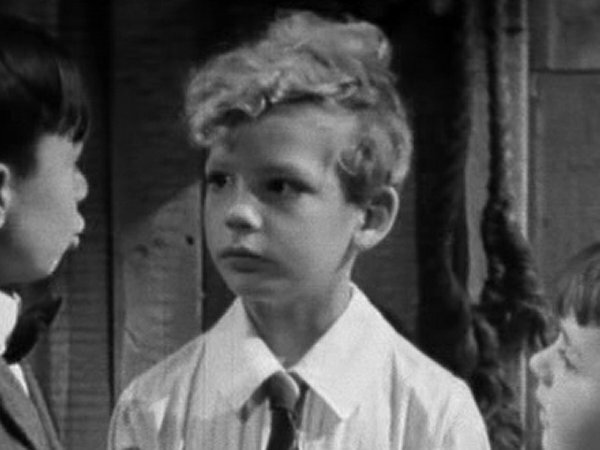 Alfalfa tells the two to leave, but his appeal is met with a rough “quiet, you!” from Butch. That is apparently enough to shut Alfalfa up. 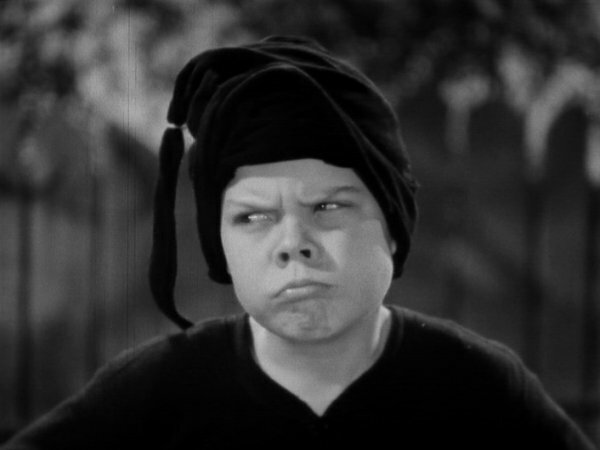 Butch asks Darla if she likes his new ‘duds’, and she says he looks silly (even though it is revealed that she had previously told him to buy it in the first place). 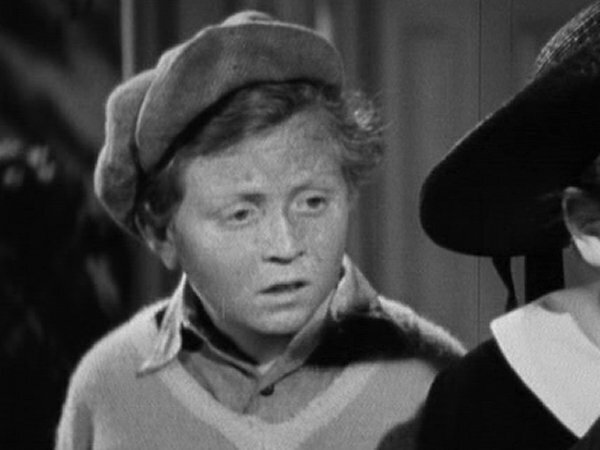 Jealous, Butch threatens to beat Alfalfa up after Darla calls the latter a ‘he man’. Spike: "Hey! You can’t go in. Don’t ya guys know how to read?" Butch: "Nah", (brandishing his fist) "what does it say?" Spike: "It says go right in." The two bullies open the gate and stare menacingly right in. 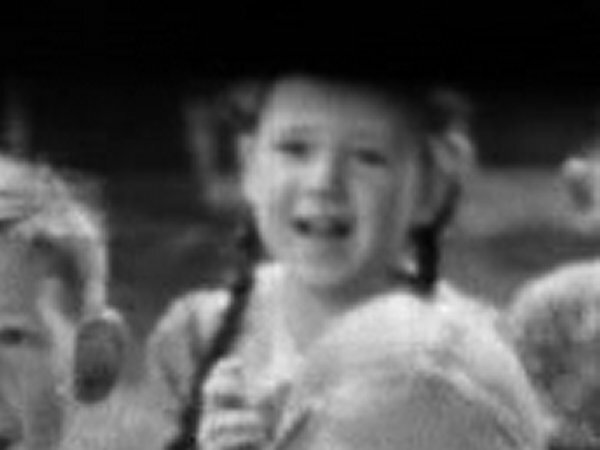 Spanky, Buckwheat, and Porky are in the ring, Darla in the front row. The three are presenting the brand new football that the champion will win ‘for keeps‘. With everyone distracted, the two sneak behind a large crate into the Masked Marvel’s (Waldo’s) dressing room and ‘convince’ him to change clothes with Butch. 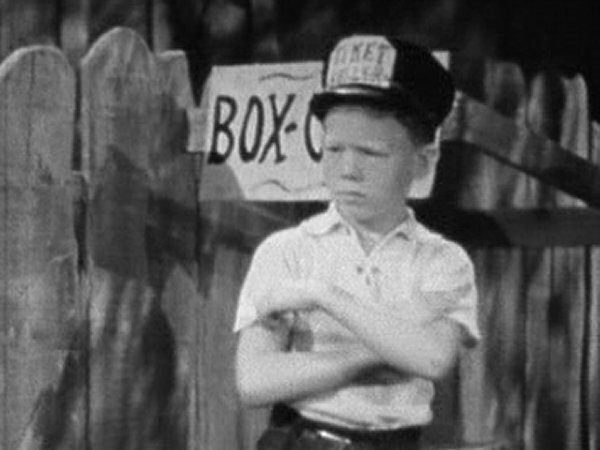 Meanwhile, Spanky motions Buckwheat to ring the bell, silencing the crowd. Spanky then introduces Wildcat Alfalfa (decked-out in long underwear and boxing pants) to a roaring crowd. Ever so triumphant, Alfalfa goes inside the ring. The Masked Marvel is then introduced as Alfalfa says that the claims that his challenger has never been defeated do not bother him. The two shake hands and the bell is rung. Butch, quite unnerved, stands and waits for Alfalfa to make the first move. He dives between Butch’s legs and knocks him to the mat. Alfalfa sees an opportunity and starts to wrestle with Butch’s foot. Butch counterattacks by tickling the crap out of him until he lets go. Butch then hands Alfalfa his own foot from behind, leaving Alfalfa wrestling with himself. Nearly everyone in the audience laughs (except for Darla). 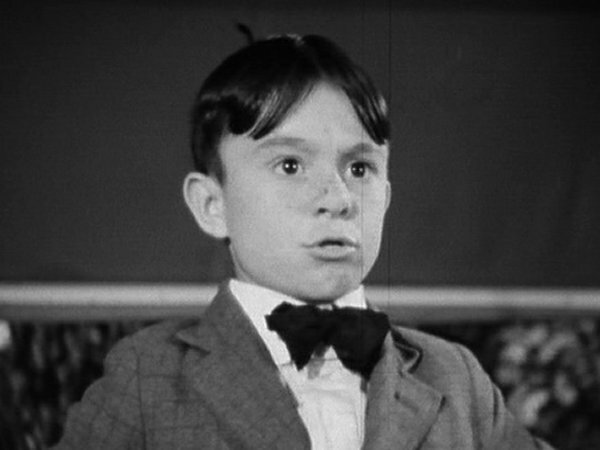 Spanky tells Alfalfa to break it up. "What’s the idea of wrastlin’ with yourself?" 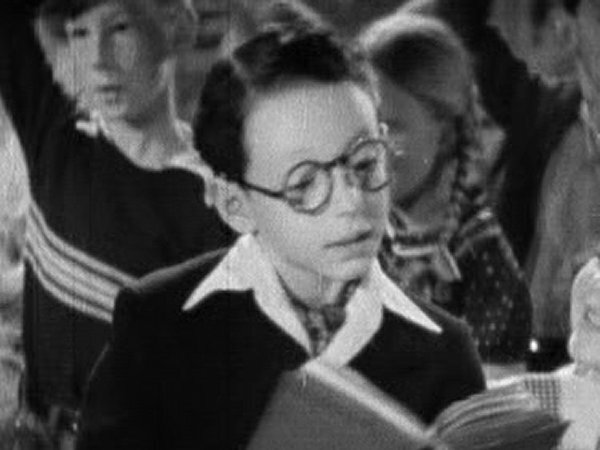 Alfalfa’s excuse is that the Masked Marvel is afraid of him. Uh oh. Butch picks Alfalfa up off his feet, spins him around for what seems like an eternity, and tosses him into the ropes, ensnaring him in them. Everyone in the audience covers their faces for a moment. Spanky gets Alfalfa out of the ropes (the two still think the Masked Marvel is Waldo) and Spanky congratulates ‘Waldo’ on a job well done. As Alfalfa is about to ‘get ferocious’, he spies Waldo, reading Shakespeare, exiting the dressing room with a teary-eyed Woim in tow. 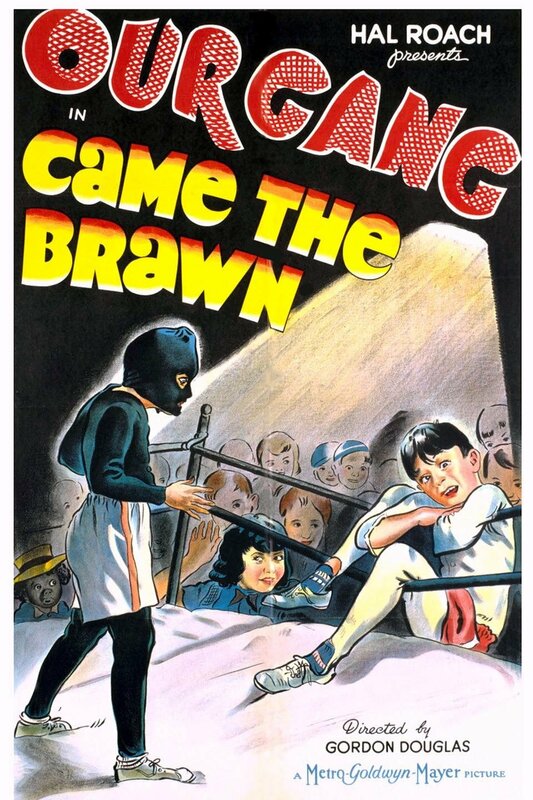 Shocked, Alfalfa removes the Masked Marvel’s mask to reveal Butch’s meany-faced mug underneath. 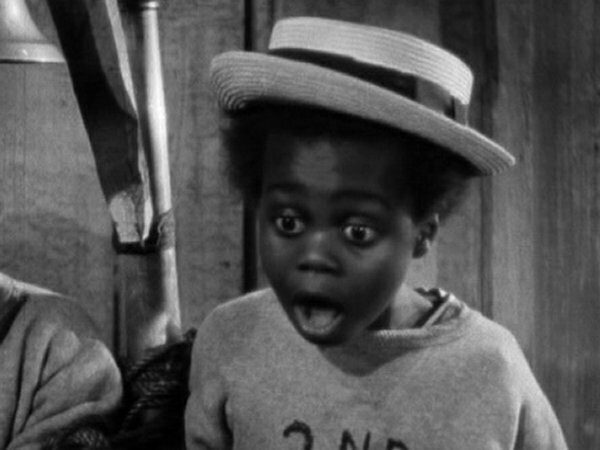 Everyone is shocked, especially Alfalfa, who gets cross-eyed and faints. Butch springs into action, grabbing Alfalfa’s legs and holding him upside-down while banging his head on the floor. 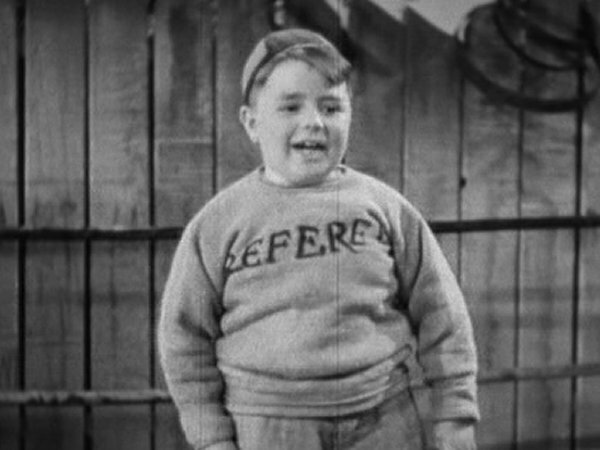 Butch then pins Alfalfa to the mat, as Spanky pleads with him to get up and fight. Buckwheat motions for Porky to follow him under the ring, and he, and he follows suit. Butch tells Spanky to take his time because he is actually enjoying it! Underneath the ring, Porky tells Buckwheat to use these bolt cutters to pinch Butch from a hole in the bottom of the ring. He does so (even though it is hard to tell who he actually pinches), and Butch leaps off of Alfalfa. As the latter tries to flee, Butch rips Alfalfa’s pants off and chases him around in circles. Alfalfa ‘escapes’ through a rip in the mat, and is followed by Butch and Spanky. 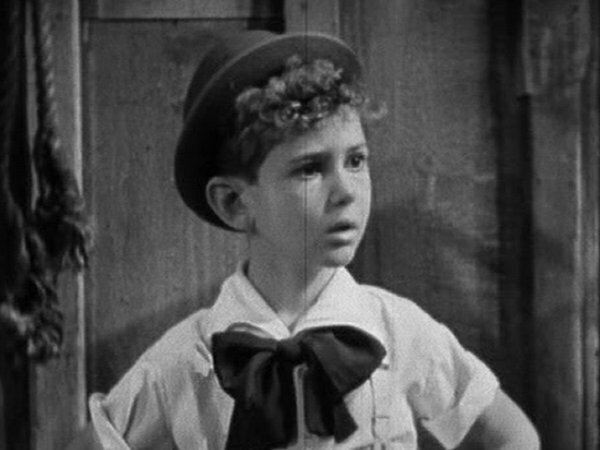 Buckwheat reaches through the mat with the bolt cutters and pinches Butch, ripping off Butch’s uniform in the process. 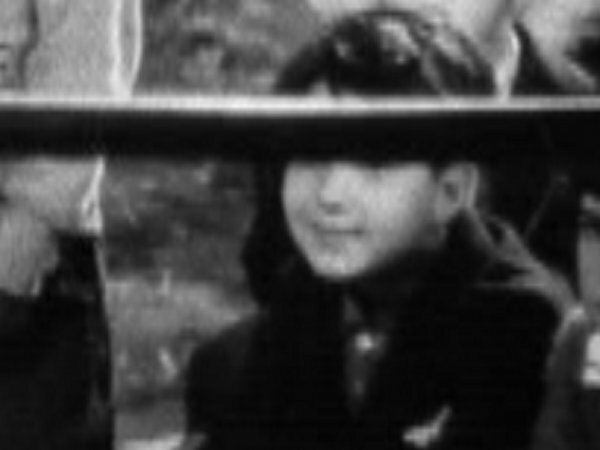 Butch peeks out of the hole as Alfalfa challenges him to come out and fight, but Butch refuses to. 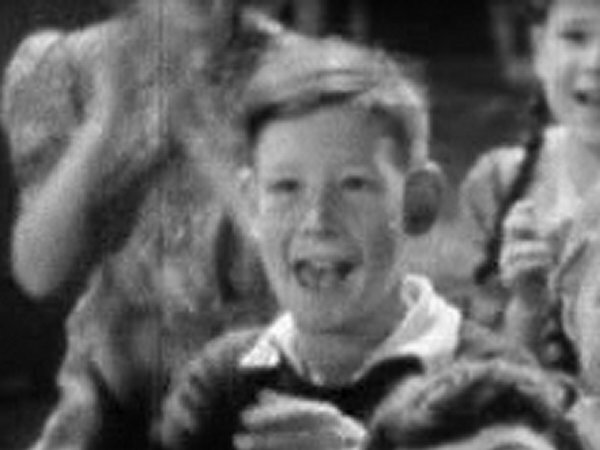 Alfalfa is proclaimed the winner, as the crowd cheers on. Well, except for the front row. Both Darla and Woim (who is crying) are mesmerized by Waldo’s Shakespeare. Darla says she now is interested in boys of refinement, and the three walk off. Alfalfa: "To think she’d do this to me. I’ll never speak to another girl as long as I live. Goodnight, folks." 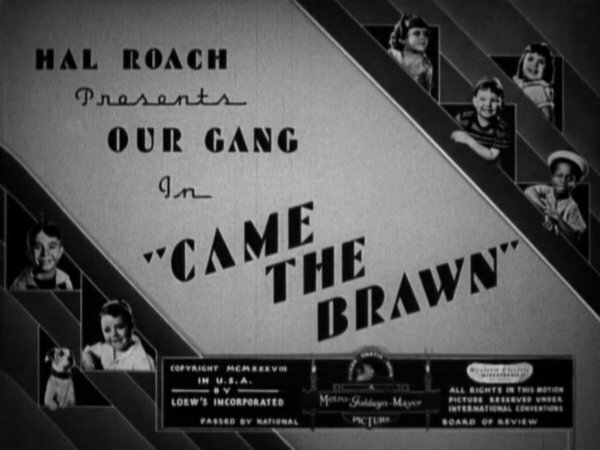 • Production K-19 - Our Gang series. • Copyrighted April 12, 1938. 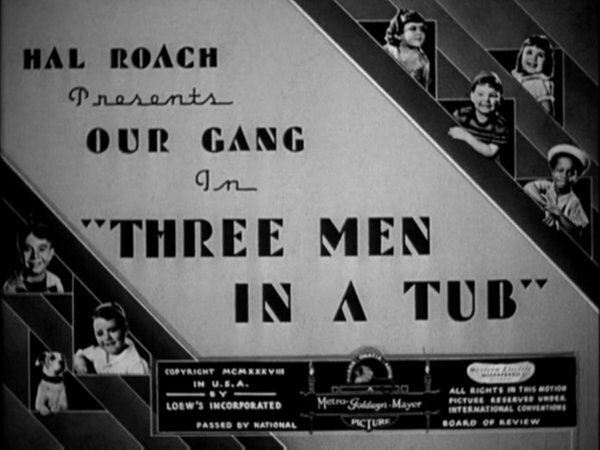 • This was the 166th film in the series to be released.